Ripple was initially released in 2012 as an iteration of Ripplepay. Ripple is a real-time gross settlement system (RTGS), currency exchange and remittance network. Ripple doesn’t rely on excess energy and proof of work like Bitcoin does. Ripple protocol is developed with instant confirmation of transactions in mind and direct transfer between two parties without any intermediary. The Ripple Coin represented by the symbol XRP can be traded and exchanged for fiat and other cryptocurrencies. The Ripple platform may be valuable, but it has once been rumored that the Ripple cryptocurrency was going to be phased out of existence – the value of the coin didn’t pick up till sometime in 2016. There are a hundred billion XRP tokens, issued by the Ripple company. The company declares that some cryptocurrencies are what there’ll ever be (though nothing stops them in future from issuing more tokens for to be circulated). Ripple is a distributed ledger network that requires various parties to validate and participate in transaction validations, rather than a central authority. Unlike other cryptocurrencies, transferring Ripples (XRP) is way faster, almost immediately confirmed, requiring no confirmation waiting time. Ripples have been listed on a whole lot of exchanges and can be purchased using fiat currencies and also exchanged for any of the significant cryptocurrencies. Among the many options available to purchase the XRP, Changelly and ShapeShift platforms are cryptocurrencies exchanges that you can easily buy Ripple with other cryptocurrencies. Unlike other exchanges, exchanging one coin for another on Changelly or shapeshift doesn’t require you sending funds to the platform, or registering an account to use the platform. All that’s needed is to send (to an address generated by these platforms) coins/tokens from the wallet in which you have the coins you want to exchange for Ripples (could be Ether or Bitcoin) and then you enter your Ripple wallet you want your Ripples stored. With no further action, you should get your Ripple coins at the estimated timeframe. We have previously written an article on Best Places To Buy Ripple; you might want to check that out. 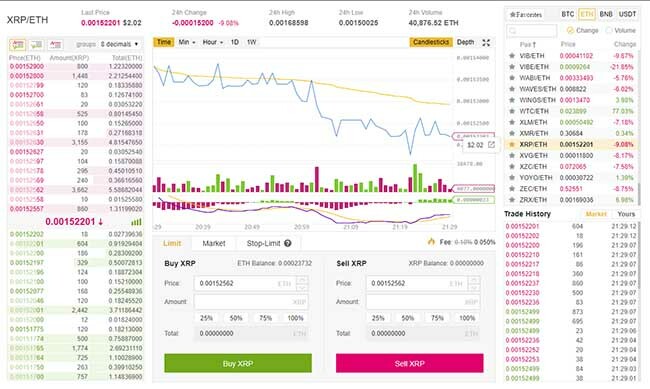 If you are registered on the Binance exchange, check out our article on How To Buy XRP From Binance. It is important to note that a 20 XRP fee is required to activate your Ripple address. You might want to make your decision right from the start so as not to lose 20 Ripples on multiple wallet addresses you test out. Like every other cryptocurrency, the Ripple is held in wallets. There are all types of wallets for Ripples, the Hardware, Software/Web, and Mobile wallets. 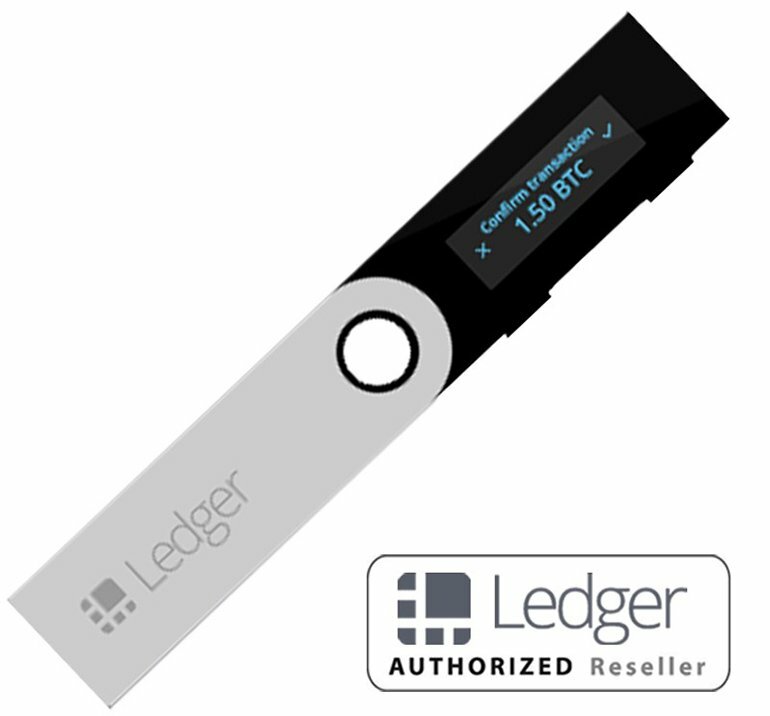 The Ledger Nano S device is a hardware cryptocurrency wallet for multiple cryptocurrencies – including Ripple (XRP). What makes the Ledger a perfect wallet is the fact that it gives users total control of their cryptocurrency assets. Not only does it gives you access to your private keys but also keeps the key phrases used to access your wallet encrypted right on the device. No one can get access to those keys unless you tell them. Added to the fact that your private keys are secured, there are added security features that make the Ledger a perfect fit for storing your Ripple coins. Transactions on the device require physical authentication by pressing the buttons on the device before they are initiated. Which means no one can transfer your cryptocurrencies if they are not physically with your wallet. That gives you some assurance of being safe in cases where cyber attackers have compromised your computer. Having a Ledger isn’t just to store the Ripple, but also a whole lot of other cryptocurrencies. Meaning purchasing a Ledger is cost effective as you do not need to buy more wallets to hold other cryptocurrencies. Toast Wallet is a free open source Ripple XRP software wallet for iOS, Android, Windows, Mac and Linux devices. The Toast is easy to use, and both newbies and geeks can easily find their way through the application with ease. The wallet also gives you the access to your private keys which provides you with total control over your investment. The Toast wallet is also available for Chrome browsers. Not all web wallets are safe, but with the features the Exarpy provides, it sure looks safe if you follow all rules stated. It’s not so much a web wallet, though can be accessed using a web browser, features of this wallet can still be accessed while disconnected from the internet. 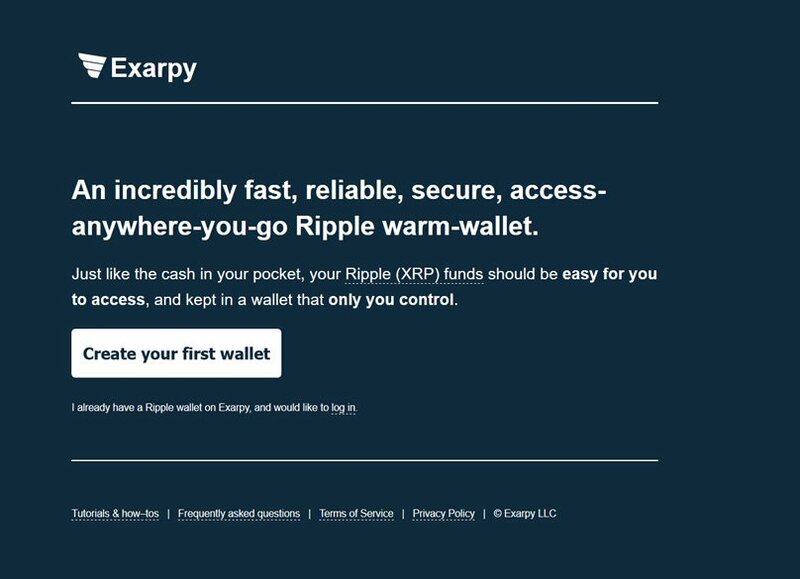 The Exarpy is a non-hosted Ripple wallet used to store, send, and receive any amount of Ripple coins without any third party involvement. Please note that using this wallet is at a cost, as it charges 0.025 Ripples for every transaction and this includes the fee for the Ripple network as well. Why we mentioned, the Gate.io is because of its ease of use. It is important to note that having your cryptocurrencies saved on the exchanges isn’t the best idea. You should use the exchanges to buy or sell while holding your coins/tokens in a wallet you have full control over. If you will make use of the exchanges to keep the Ripple, make sure it’s not a huge amount; one that you can afford to lose. Gate.io Exchange offers a mobile application alongside the web platform that makes it easy to send and receive Ripple coins on all devices. Binance is another exchange, like the Gate.io. It’s one of the trusted exchanges out there making plans to go decentralized. Binance is a fast growing exchange launched in 2017 and is grabbing the attention of millions of cryptocurrency users worldwide. Storing your XRP (Ripple) on Binance gives you the advantage of converting your coins to other cryptocurrencies and back with ease. However, you shouldn’t hold too much of your Ripple coins on the exchange; you can always transfer to a hardware or software wallet which you have total control over. Carefully review all wallets mentioned above, and you probably might want to do some more research on how each of them works by watching videos on YouTube. As time goes on, there should be more wallets integrating Ripples on their application making it easily accessible.